Having recently completed a gift guide for children I thought it would be a good idea to share one for older teens and Adults. So, this is what I think would make a great addition to my Christmas Gifts this year, especially for those who are difficult to buy for. 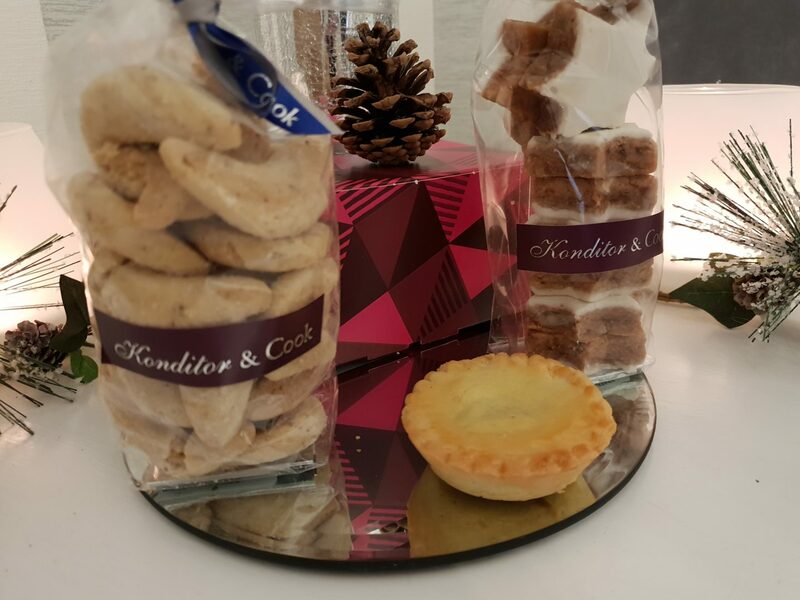 Here we have a selection of goodies from Konditor and Cook consisting of a box of 16 mince pies which taste sensational, Cinnamon star cookies and Kipferl cookies which are delicious butter cookies made with ground almonds and homemade vanilla sugar. The Knight Tribe really enjoyed these tasty treats and would make a fantastic gift this Christmas. Go Get Glitter body mist by Impulse is a must have. These Body mists smell so good, my favourite is the limited edition Coconut Spritz I just cant get enough of it at the moment. They also do a Limited edition Melted Candy Unicorn dust mist, which also smells as good as it sounds. Both bottles are a decent 150ml which is the perfect size for a handbag. I also dont mind the girls wearing this as it is not over powering and light to wear. I have been trying to be a little more eco conscious this year however one thing I do struggle with is my water intake. This reusable bottle from Chillys claim to keep drinks cold for 24 hours! I can’t wait to put it to the test and I think in the summer this will be heaven! Both David and I are big cheese eaters! I love sitting down in the evening with cheese, apple and ready salted crisps! The Ultimate Cheese Making Kit makes 10 cheeses and follows a really easy to follow instruction book. There are enough ingredients included to make 40 batches of cheese! Pretty impressive! These lashes are great! They are faux mink lashes and they help to create fullness and definition. Teamed up with Pinky Goat GlueMe they can be worn up to 10 times making them great value for money and perfect for the party season. 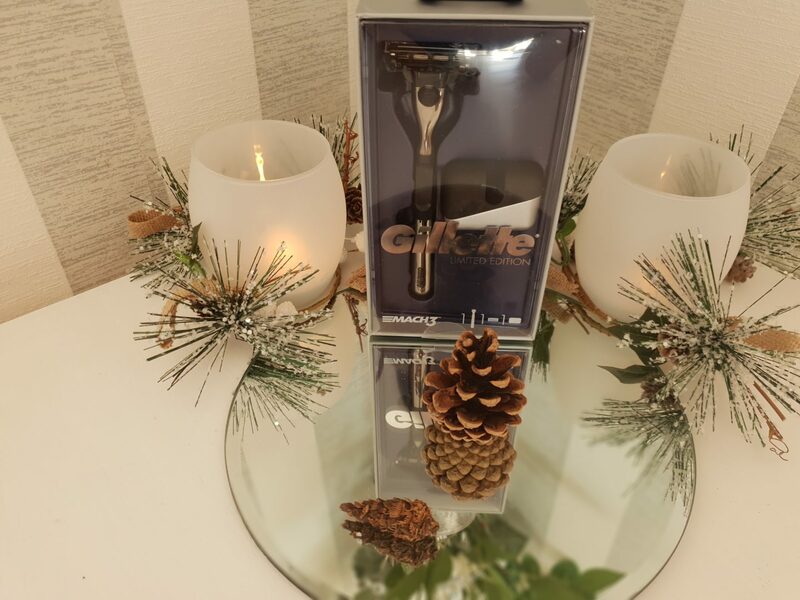 The Gillette Limited Edition Fushion5 razor is going into David’s stocking. It is always handy to have and thanks to the Flexball technology there are fewer hairs missed. There is also a precision trimmer for the hard to reach areas. 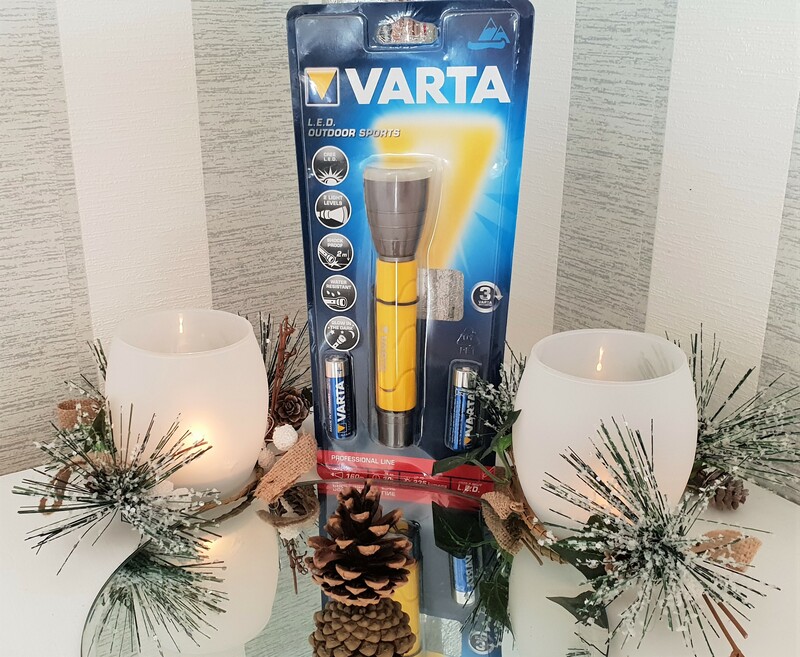 Another super handy stocking filler is the Varta Torch and reusable batteries. David would love this and with it being really practical to have. 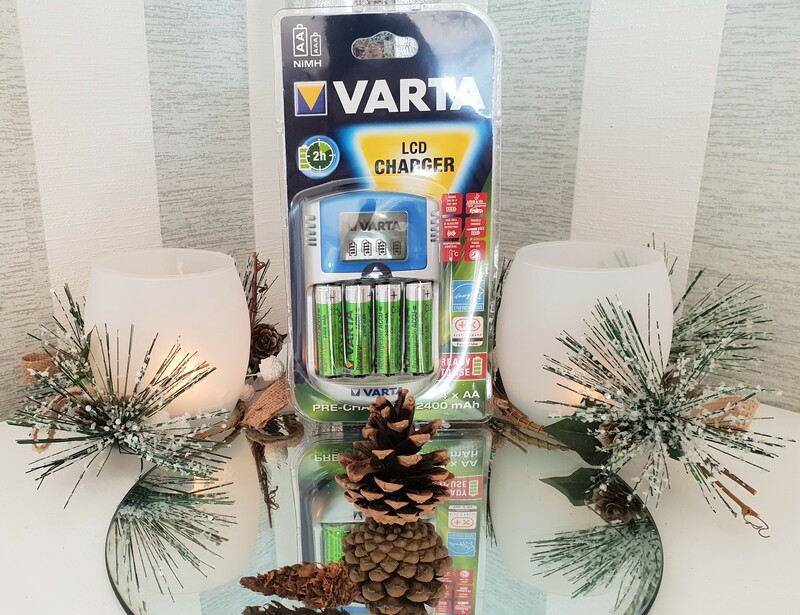 The Varta Outdoor Sports has so many great features such as being shock proof for 2m, It is water resistant and glows in the dark. Which to be honest I don’t understand why all torches are not glow in the dark, especially for power cuts! The rechargeable batteries are pretty vital at Christmas! There is always that one toy that doesn’t come with batteries and we always seem to run out! I love how it helps to reduce single use batteries so I feel I am doing another thing for the environment. I wasn’t entirely sure which gift guide to place this in. 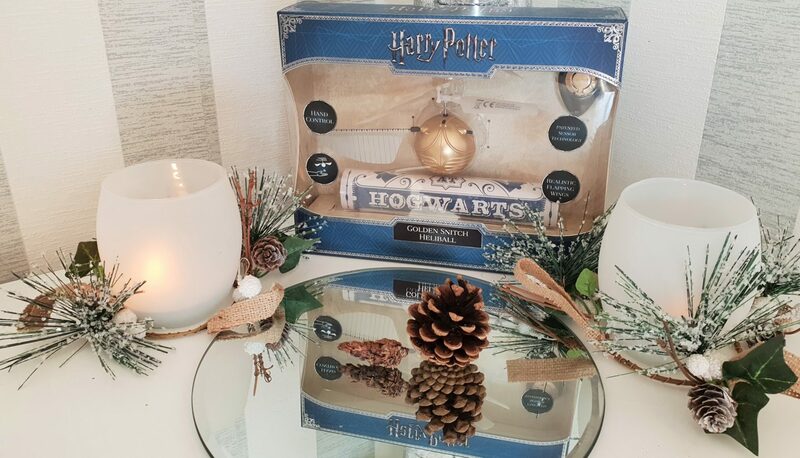 I know Leo would love it so it would fit in great with the children’s gift guide however I know David and I would love it too! It is a great family game but I thought I would place it in this guide. 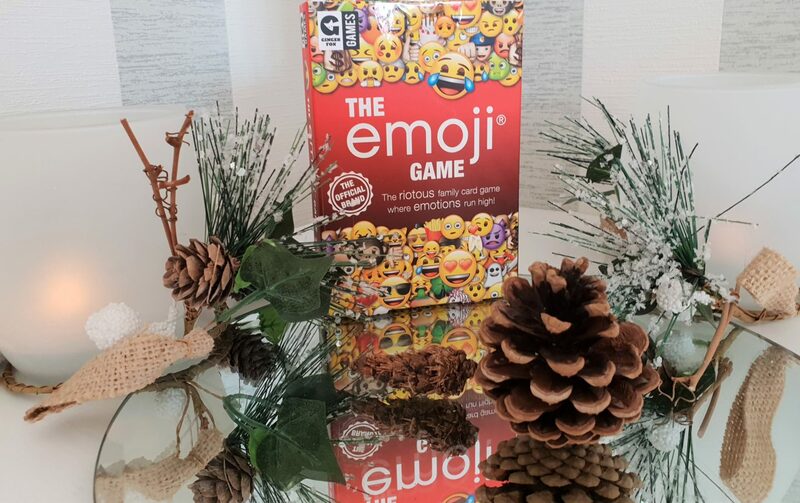 The Emoji Game is an hilarious family card game which can be played with 3-6 players. The games don’t take an awful long time to play either so it makes it a great option for a quick game! Each player takes it in turns to perform the action on the card. The first to collect a set of five card in the same emotional set has to declare their emotion and they win! Corks is another family game which would fit in well in both guides. To play all you need to do is be the first to collect a full set of cards and then grab a cork. Immediately all the other players have to grab a cork of their own, one by one a player loses. It is one of those games that more players are certainly more fun! Inspired the traditional game Spoons, Corks have brightly coloured playing cards with co ordinated coloured corks. 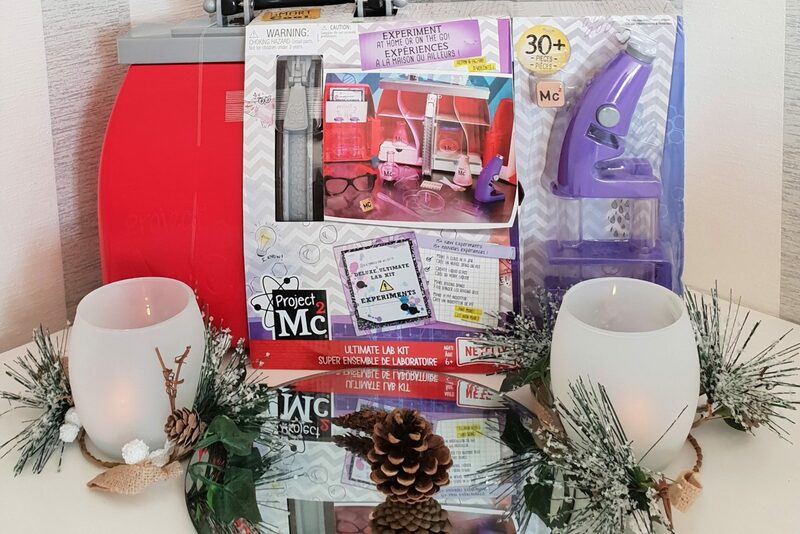 I love this selection of gifts this year in my Children’s gift guide. I have a variety of games to suit young and older children, STEM products, slime and textured gifts for sensory, dolls, fairies, robots. 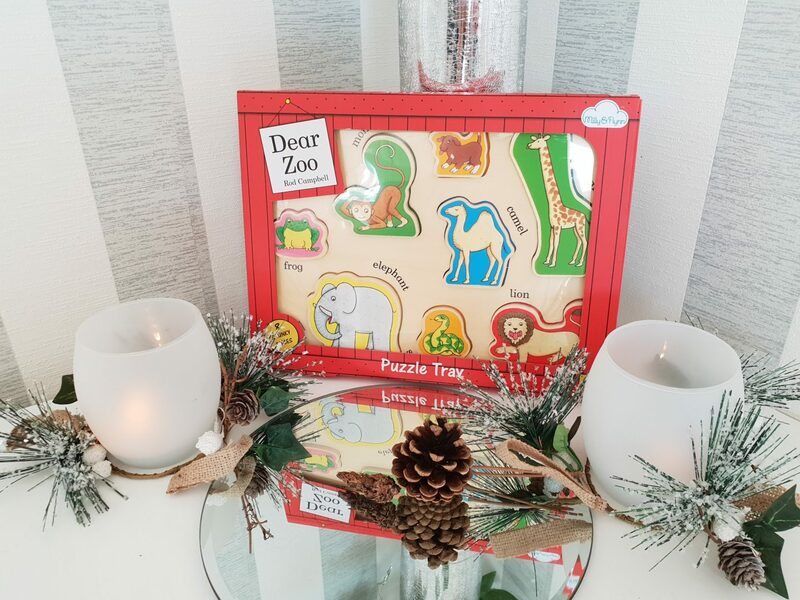 My children have always loved jigsaw puzzles and this Dear Zoo Puzzle Tray looks like a great one. There are 8 chunky wooden pieces to take in and out and each one featuring a colourful animal. The girls love their dolls and when I saw the One Dear World ones I knew Emily would love it. One Dear World is a collection of 4 dolls from all over the world. Each one is a different ethnicity and all have their own little story. 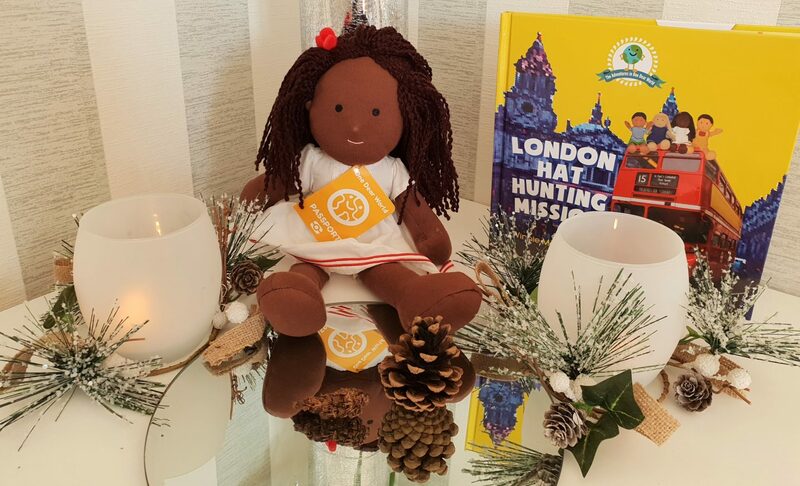 What’s more you can also buy the accompanying book which features all 4 dolls on an adventure around London. 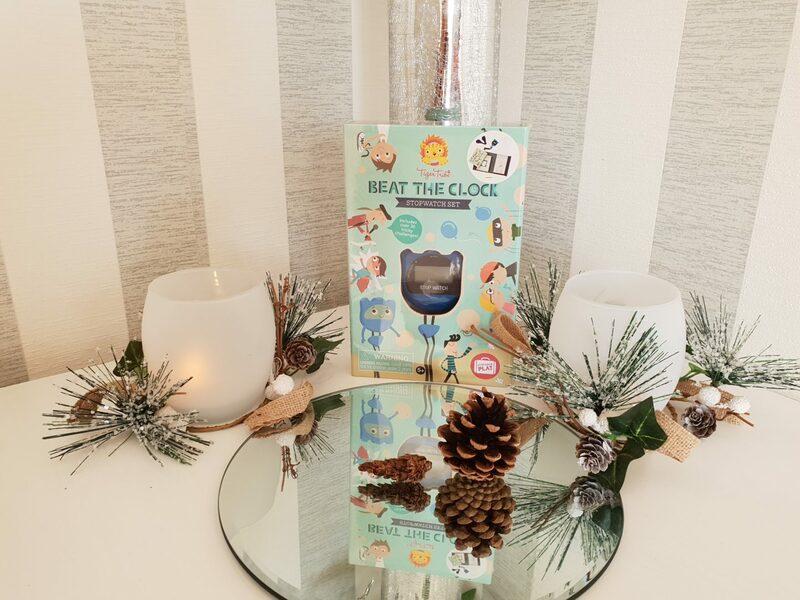 Beat the Clock – Stopwatch set is pretty much jam packed full of fun and constructive activities. It is a great way to encourage learning about time without it feeling like the children are learning. Using the stopwatch to keep track of time some of the challenges involve keeping balloons in the air, setting a table and running around the block! There are 36 pages in the challenge book and it will keep them entertained for hours! Tiger Tribe Available at Trotters Childrenswear & Accessories and selected stores. The girls love their My Fairy Garden so I know this will be a hit! 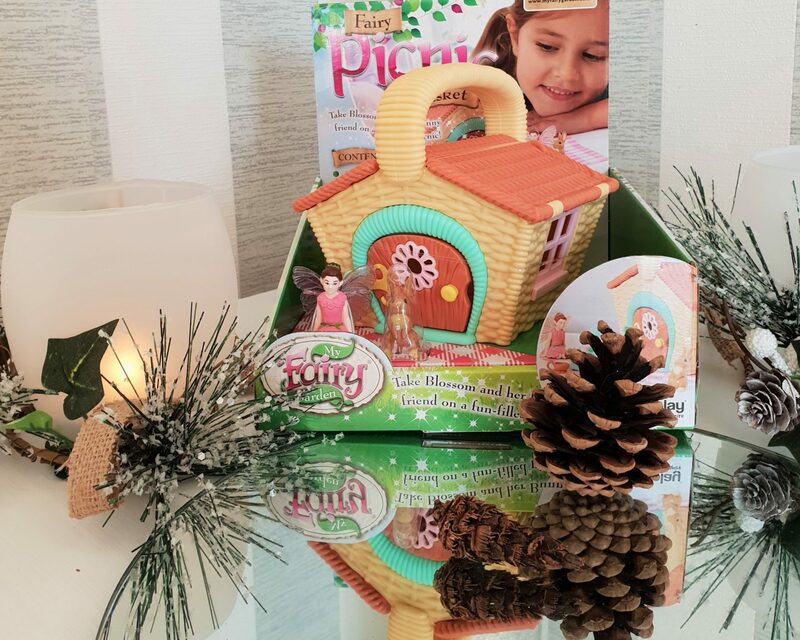 The My Fairy Garden – Picnic Basket comes with everything Fairy Blossom and her friend Bunny need to enjoy their picnic. The Picnic Basket opens and inside you can find a tea set with cups and teapot, plates and a cake stand! Fairy Blossom and her friend Bunny can enjoy their tea and eat their delicious cupcakes! The Picnic Basket also features a carry handle to make it easy to take on adventures. The girls love the range of FabLab Products! They are so easy to use! 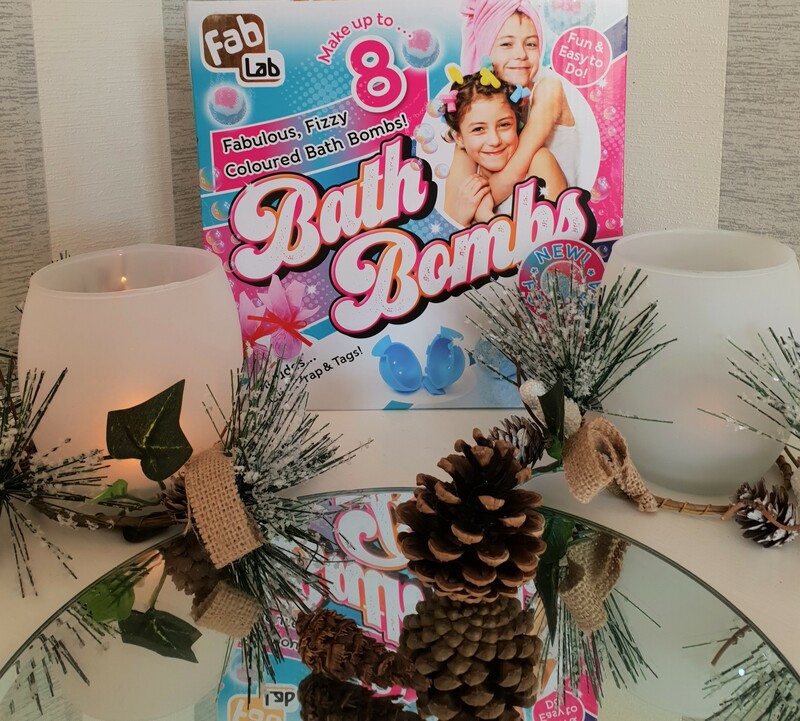 The Bath Bombs set can make up to 8 bath bombs to then enjoy in your bath! Super easy and everything is provided! 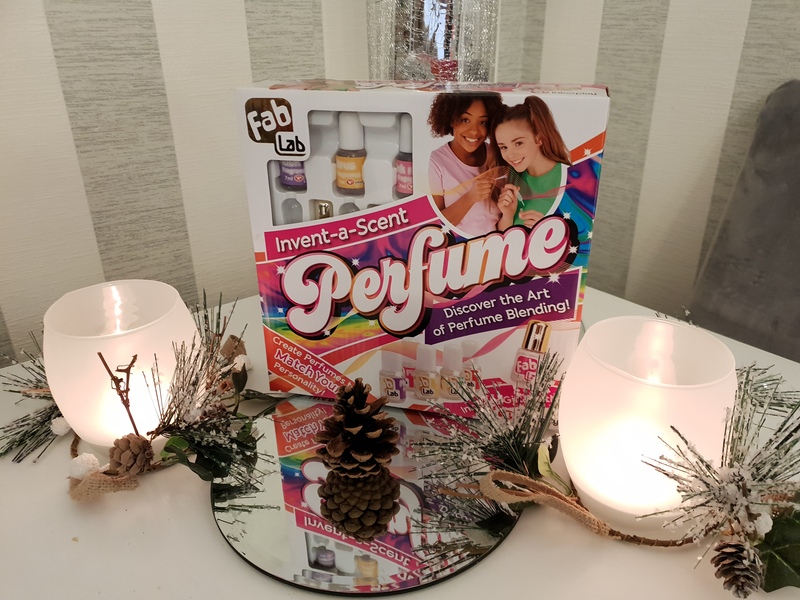 The Perfume Set is great for anyone who wants to experiment and create their own perfume! 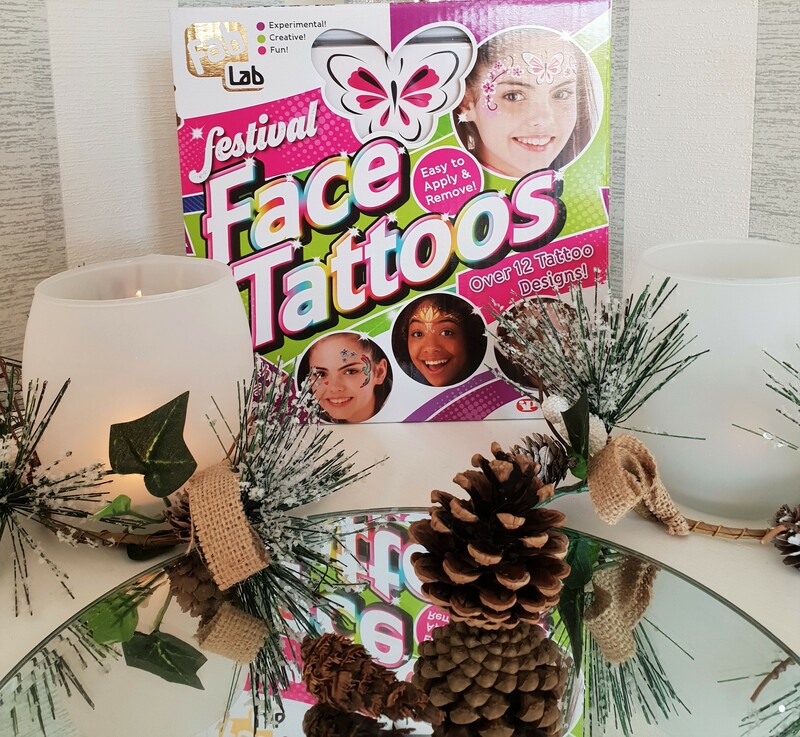 The Festival Face Tattoo Set features more than 12 temporary tattoo designs. Super easy to apply and just as easy to remove thanks to the oil that is included! 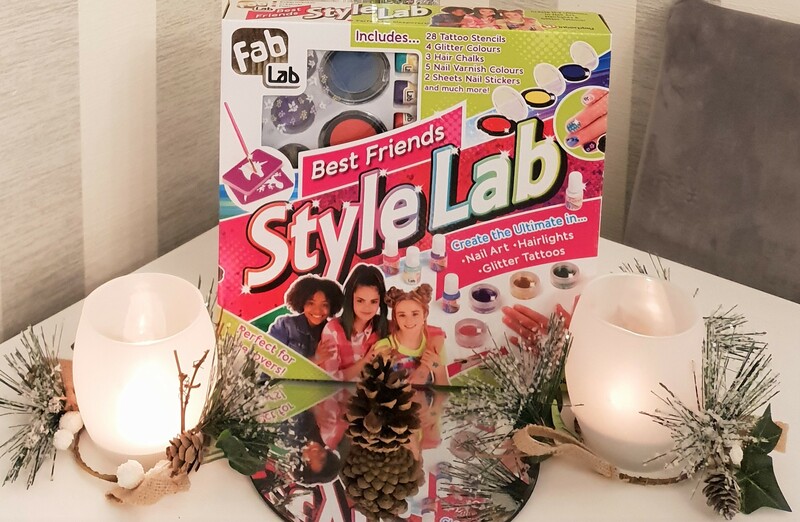 The Style Lab is the ultimate kit needed for a slumber party! Featuring Glitter Tattoos, Highlights and Nail arts! I love toys that have an educational value to them. 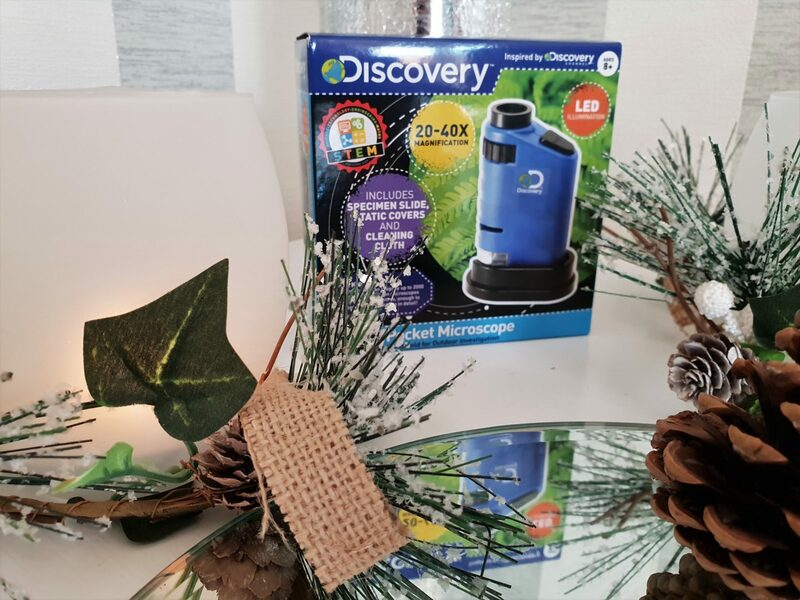 This Discovery Pocket Microscope is compact and can be taken out and about. With a magnification of between 20-40x it is great at helping to identify items whilst out and about. The Pocket Microscope comes with 2x blank slides, 2x static covers and a cleaning cloth. 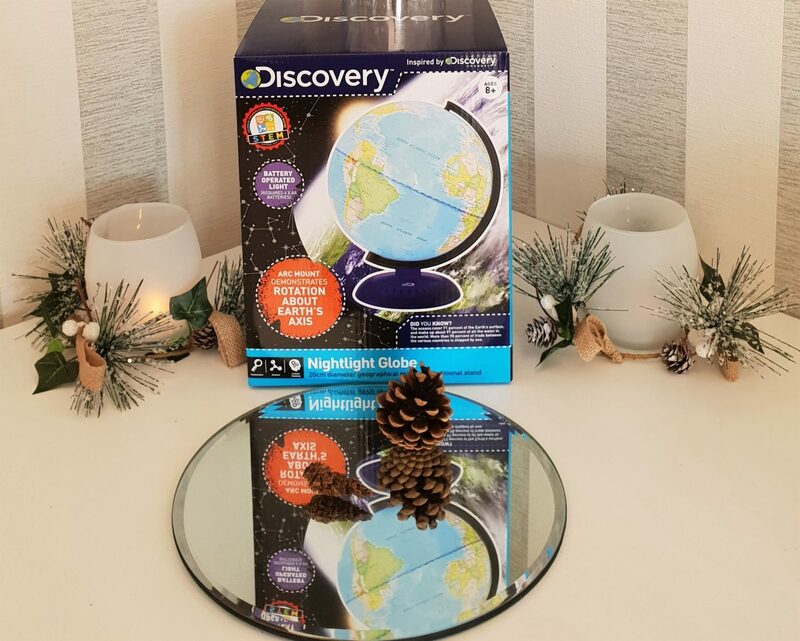 Another great product from Discovery is the Nightlight Globe. The globe sits on a traditional arc stand and spins on it’s axis. It requires 4 AA batteries to get the light to work but when it does it makes a great light for night time. Countries are shown in colour blocks and the seas/oceans and capital cities are all labelled with their names. 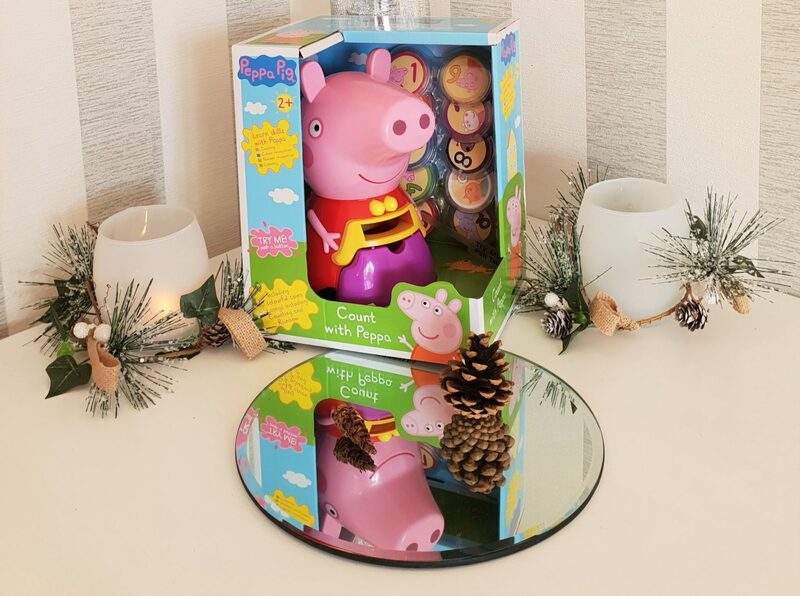 Count With Peppa is a great little toy for younger children. There are 2 levels of play and learning and features 3 new songs! There is even a volume control button! Peppa can recognise each coin that gets inserted and she responds to each one. There are 8 different activities which all aim to help aid their development. I remember having something similar to this when Leo was younger and we loved it! 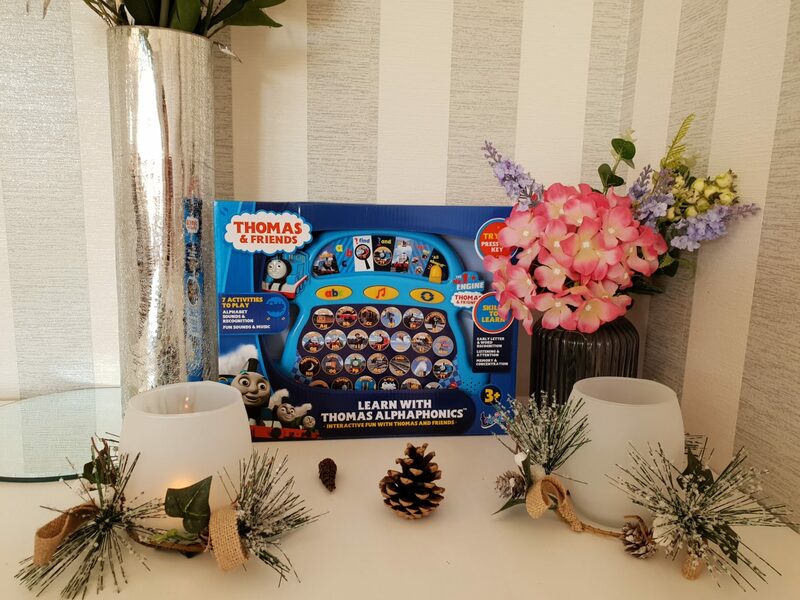 The Thomas and Friends – Learn with Thomas AlphaPhonics helps children to learn their letters, sounds and also spelling. The Carry Handle makes it super easy to take out and about and with 7 different play modes it will help keep them entertained for hours. Emily LOVES Rapunzel and I know she will really love this! 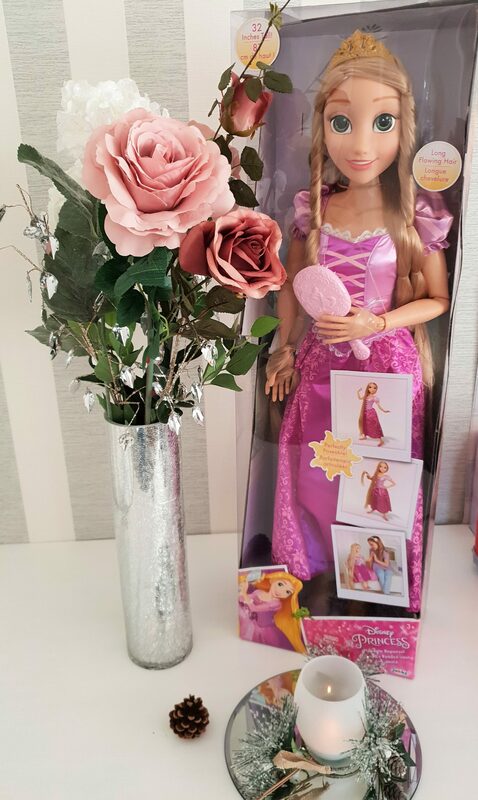 The 32″ Rapunzel Playdate Doll has long hair and is fully poseable with 11 points of articulation. Rapunzel comes with a brush, shoes, tiara and a removable outfit. It is huge and it is perfect for any Disney Princess fan! 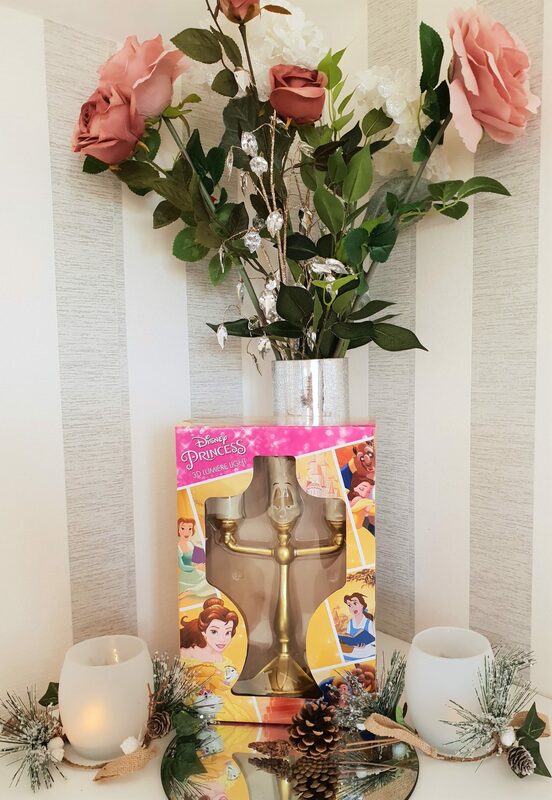 I picked up this Disney Princess 3d Lumiere Light from B&M. The girls love Disney and I love Beauty and The Beast so it is a win win. The Lumiere Light is battery operated and makes a perfect night light. Every year for Christmas I always make sure we have something creative. The Little Brian Paint Sticks are perfect for us! The girls love painting but we often don’t have the time to get the paint, paint pots and brushes out. However Little Brain Paint Sticks are super easy and you don’t need any of those things. The girls will be able to just take them out and use them to paint their pictures, making clean up quick and easy too. 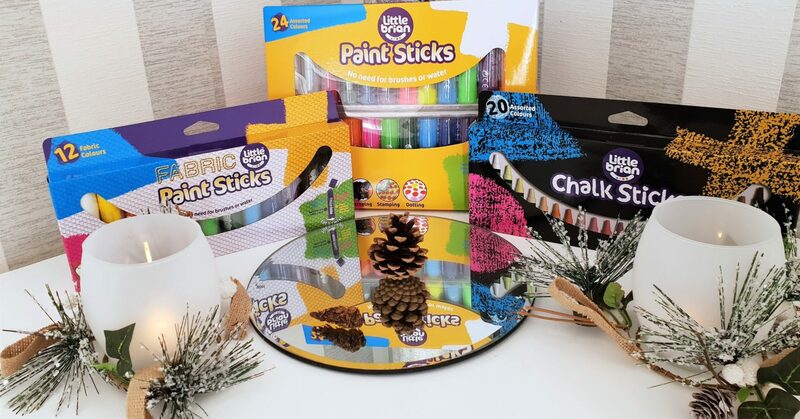 Little Brian have a variety of different paint sticks available as well as chalk sticks too. Lydia and Emily are always asking for their nails to be painted like mine. 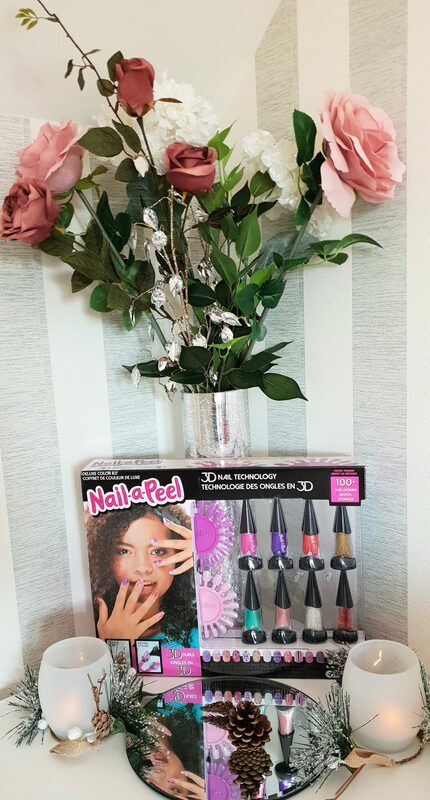 The Nail-A-Peel Deluxe Kit is a creative way to create to polish and decorate your nails in 3D. The kit comes with over 100 designs to copy and 8 different nail polish colours. Since reviewing a couple of Project MC2 sets earlier in the year, Lydia has become somewhat obsessed. The Ultimate Lab Kit is a great piece of kit that helps to conduct experiments at home or on the go. Lydia will love to do all the experiments! There are over 15 different ones for her to complete all explained in an easy to follow booklet. The set comes with over 30 pieces including a working microscope with a 4x zoom, petri dish, glass slides, test tubes and beaker. I hadn’t come across a creative set like this before. 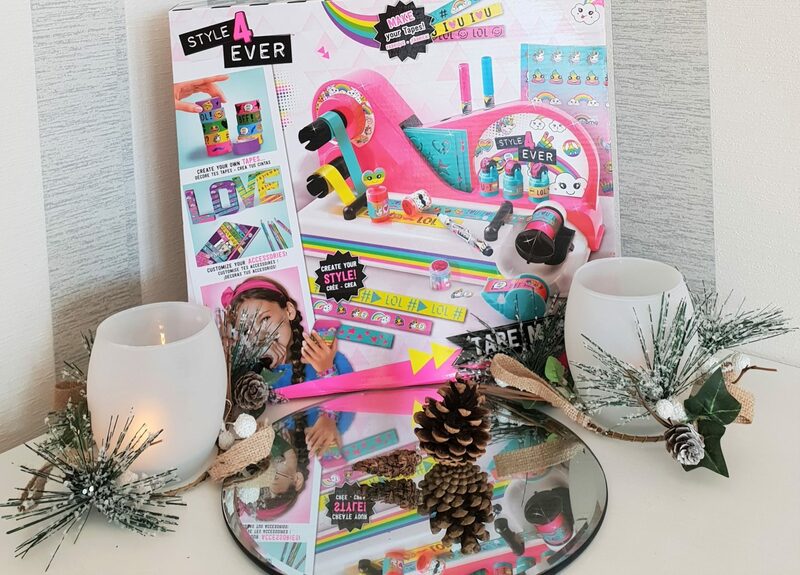 The Style 4 Ever Tape Machine has everything you need to create your own unique tape. You can customise a whole heap of items with it such as school books, pencils, photos, or you can use it to secure wrapping paper for gifts. Included are stamps, stencils, stickers and markers along with 2 tape dispensers. Leo and Lydia are obsessed with Slime. It has been such a popular craze this year! 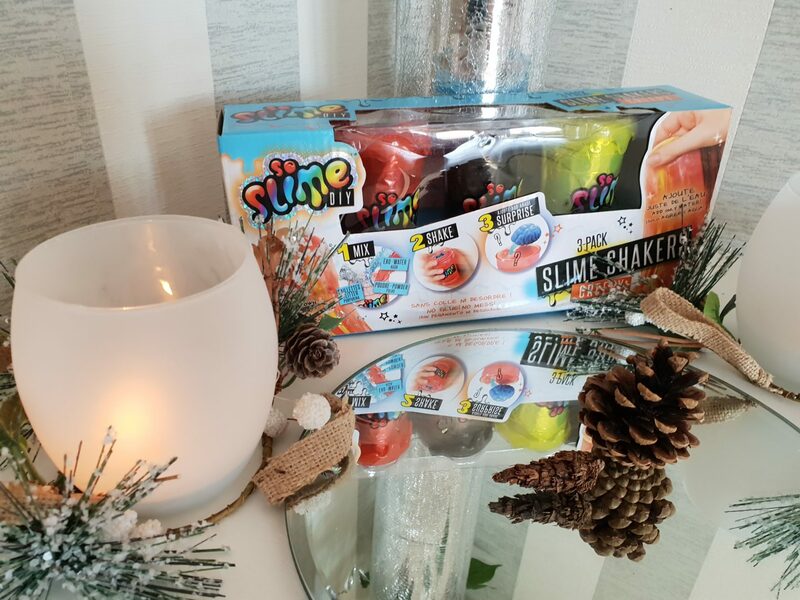 The So Slime DIY kit includes 3 packs of slime all ready to make. All you need to do is add water to the mix, shake and then it’s ready! Over Christmas we love playing games together as a family! 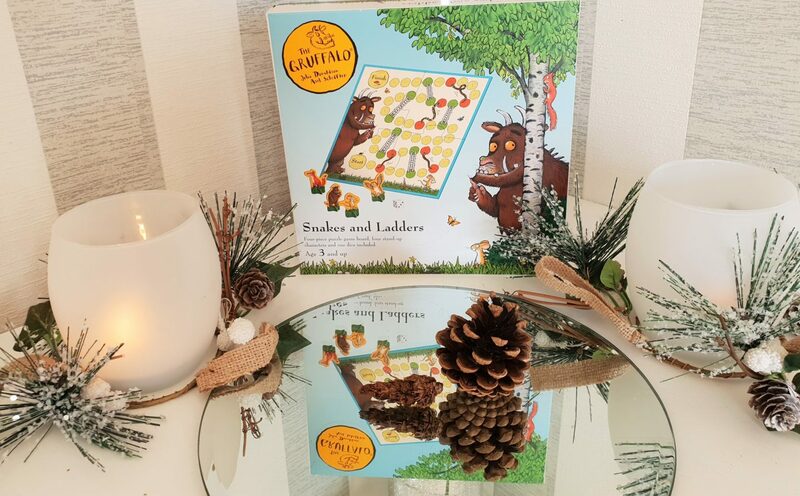 The Gruffalo Snakes and Ladders will be a big hit especially with Emily! The player pieces are all characters from the story too! I can’t wait to play this with them all! 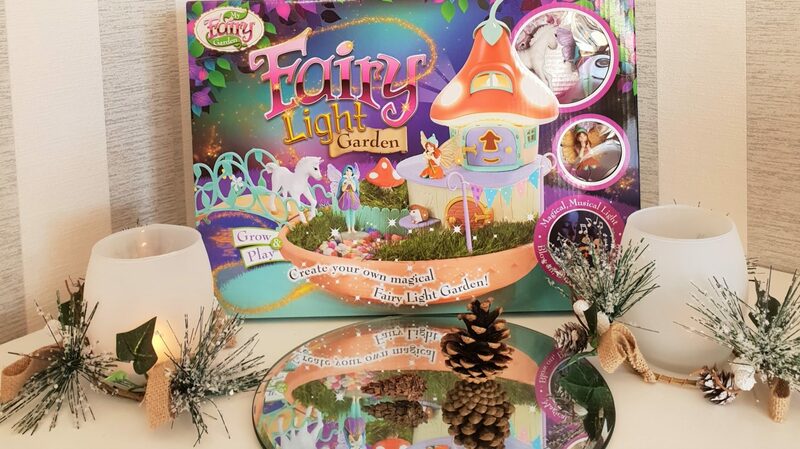 Another great product from the My Fairy Garden range is this pretty awesome Fairy Light Garden. I think as the nights are drawing in earlier than this will look great once lit up! The set features 2 fairies Heather and Elvie and the enchanted fairy mushroom home also doubles as the night light! Of course there are no real flames! All you need to do is blow on the magic candle to turn on the light and then listen out to the beautiful harp music that plays. Bath time is fun time! and the Zimpli Kids range of Gelli Baff makes it super easy for the girls and Leo to play. All you need to do is add the sachet to turn the bath water into either Gelli or Slime. Once the playtime as stopped then add the super magic sachet to turn the slime/Gelli back to water. There are no harmful ingredients either! 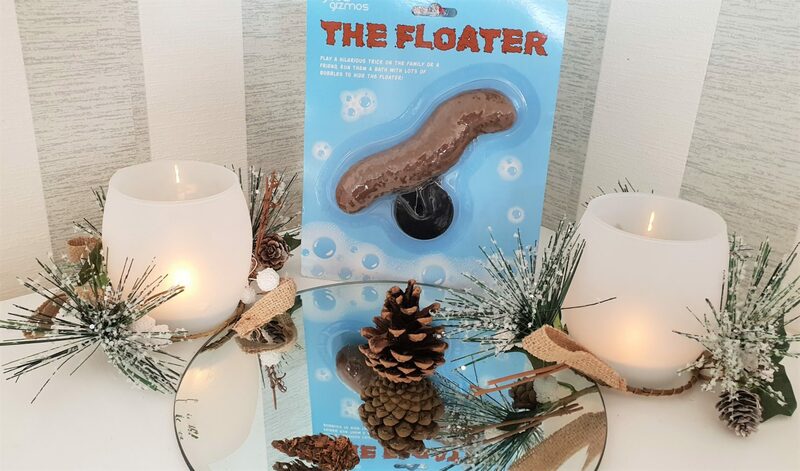 Poopsie Slime Surprise is a must have toy this Christmas! There are 2 styles to collect and each one features a glitter potty! 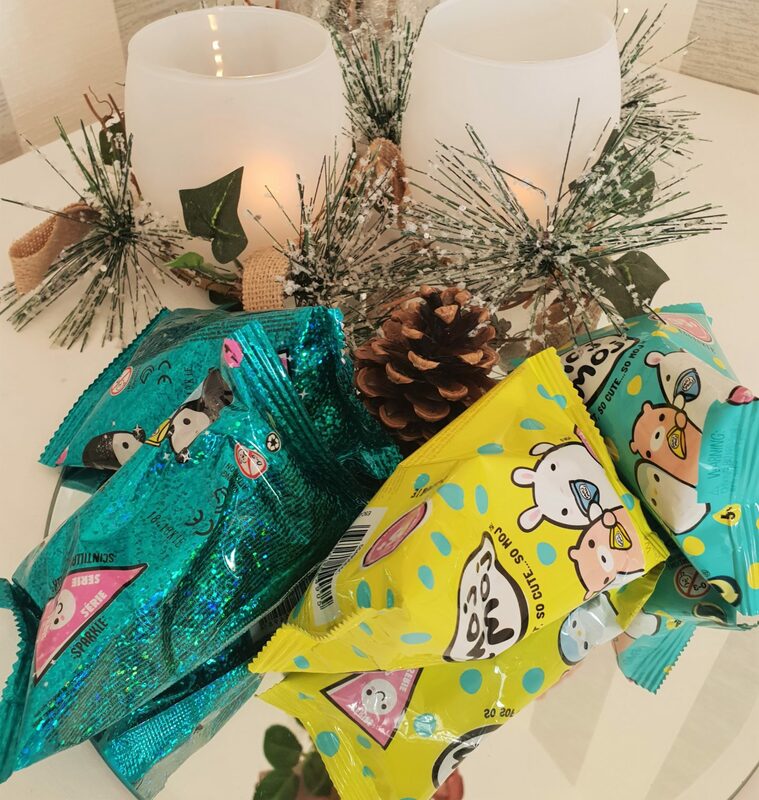 There are 4 unicorn food (slime powder) sachets which can be feed to the surprise unicorn. When you place her on the glitter potty she creates a surprise! There are over 20 magic surprises included in each surprise unicorn! 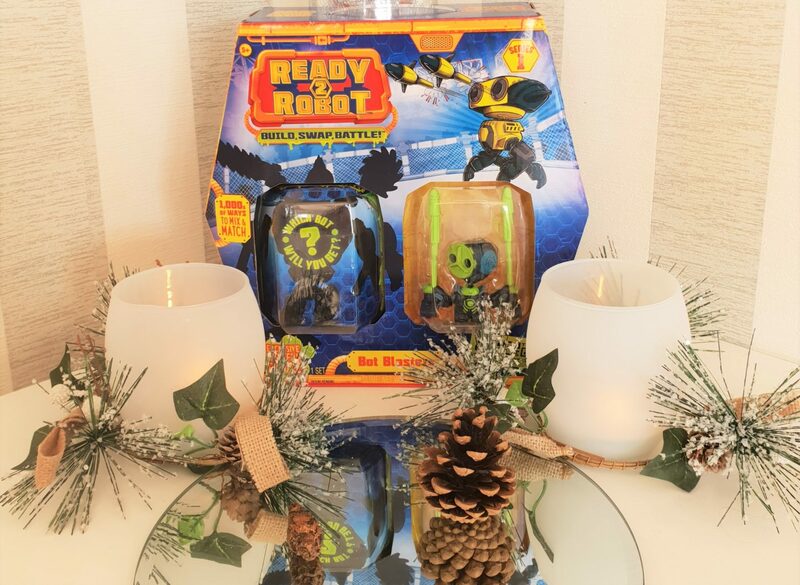 Ready2Robot Bot Blaster is the only collectible that allows children to build, mix and match their own custom bots! Once built battle with friends to become the winner! The Bot Blaster includes extra weapons and accessories to build and customize mech bots and pilot bots. I don’t think it would be a Children’s Gift Guide if L.O.L Eye Spy Surprise Doll wasn’t featured. Each pack contains 15 suprises, 1 spy glass, a secret message sticker, surprise codes, bottle and a mystery disguise. You can feed or bath your LOL doll to discover water surprises too! Num Noms are another great collectible gift and another the girls love collecting! The Delicious Desserts Lunch Box Playset features 10 scented Nums in a variety of different flavours and 2 scented Noms flavoured lip gloss! The Casing doubles as a storage case to keep the Num Noms safe! Emily loves Moj Moj Squishes and these are perfect to add in her stocking at Christmas. The Moj Moj blind bags each contain a surprise squishy to collect! The Paddington Spot the Difference game features over 80 different challenges to complete. 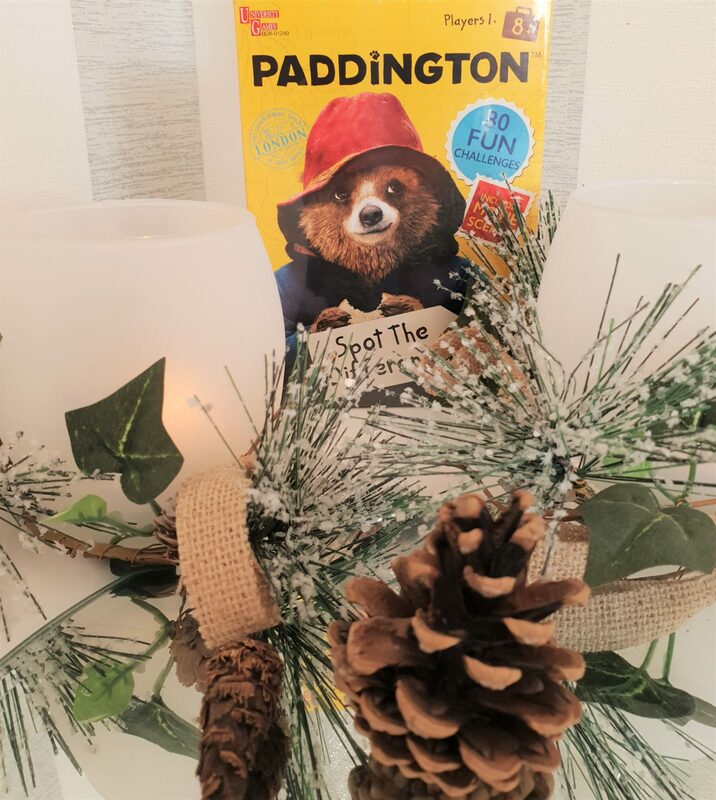 You can follow Paddington’s adventures through each challenge. Each challenge has 5 or 10 differences to find. 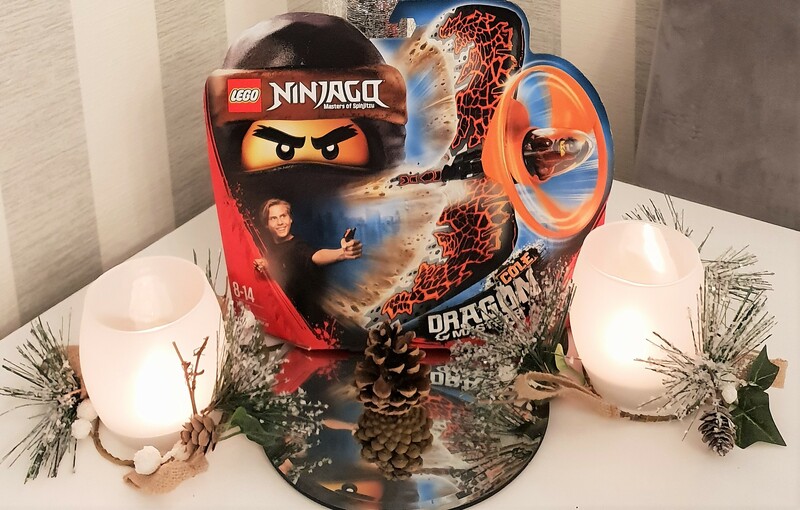 It wouldn’t be a Christmas without featuring Lego! All 3 of my children love Lego and with a super big family I have plenty of nieces and nephews who love Lego too! The Lego Ninjago Cole Dragon Glider features the Ninja Cole as a mini figure. Put him into the glider and pull the rip cord to send him flying into the air! The Harry Potter Lego set features the scene in Aragog’s lair! 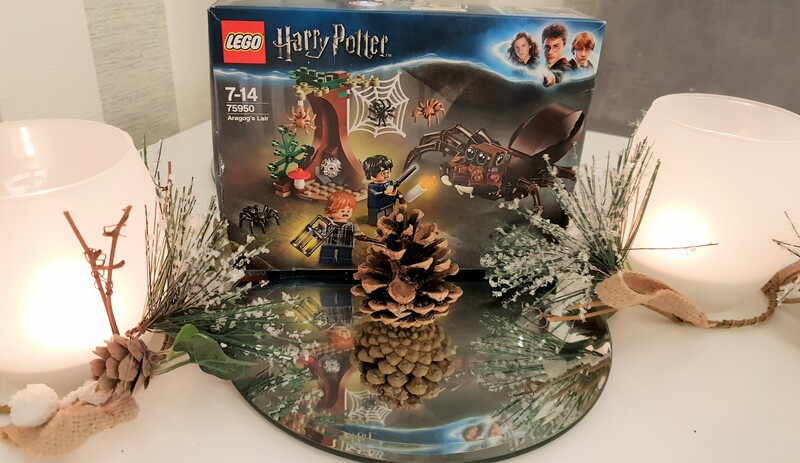 Harry and Ron are trapped and need to escape from Aragog and the other 4 spiders! The tree also has a spiderweb shooting function which is a pretty great feature! Another great gift for any Harry Potter Fan is the Golden Snitch Heliball. The golden Snitch Heliball not only flies but it allows you to be able to customise its flight pattern from random directional flight to near vertical flight by adjusting the angles of the wings, making it perfect for seekers in training! 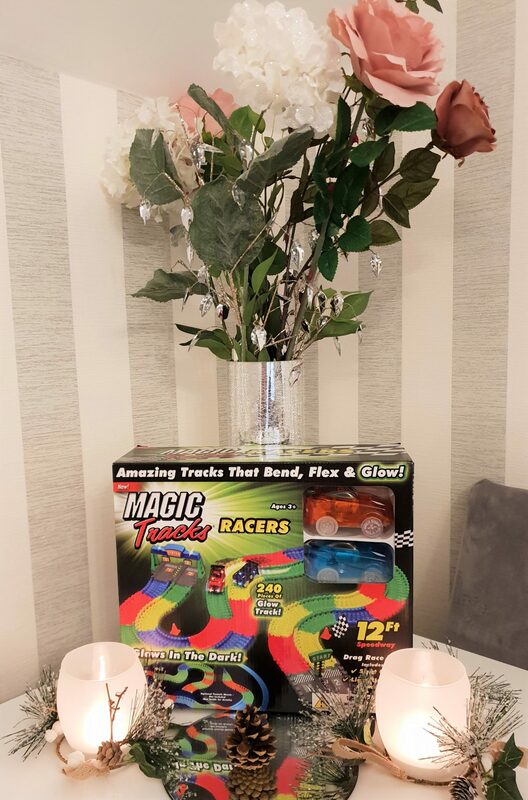 Magic Tracks is a pretty awesome car track which lights up and can glow in the dark! The track can be built in any formation as long as there is a start and finish. It is pretty spectacular to watch with the lights off or dimly lit. 240 pieces of Glow in the Dark track can build 12ft Speedway to enjoy! Floof is pretty fab too! 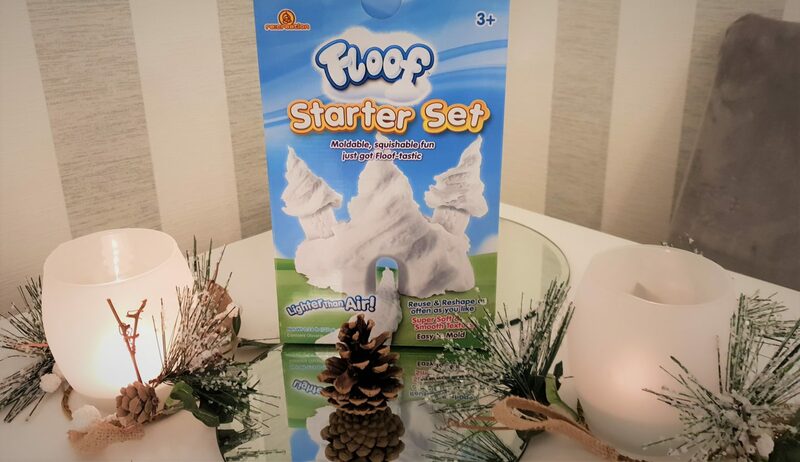 Floof feels incredibly soft and has a lovely smooth texture making it super easy to mould. You can either mould with your hands of it also works great with moulds for sand play. The girls love playing with this and I really don’t mind them playing as clean up is a doddle! I store in an air tight container and it can be reused as many times as you like! The girls already have a great understanding on how rescue centres work. A couple of years back we rescued our cat Phoebe from a local shelter. 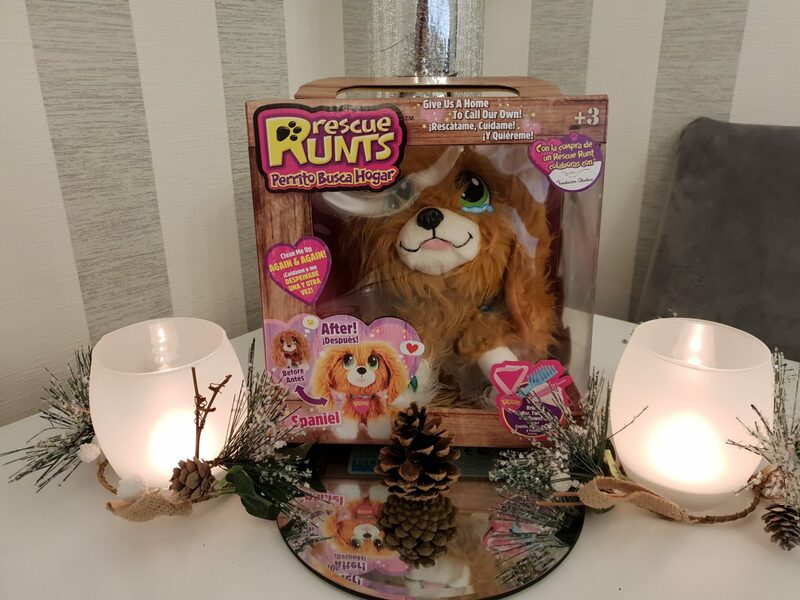 Rescue Runts is a lovely way to show how tender loving care can help look after an animal. Included in the set are tweezers (which are used to help remove “fleas”, Brush for the matted hair, cloth, collar, bandage and 6 colourful fleas. Leo can be pretty disgusting at times and he loves all kinds of pranks! I am planning on surprising him by using The Floater bath plug after I have bathed the girls! It is a great prank! and I know he will love it! As I have mentioned previously we love getting together and playing games! Wally The Washer is a great game that in particular Emily and Lydia would love! 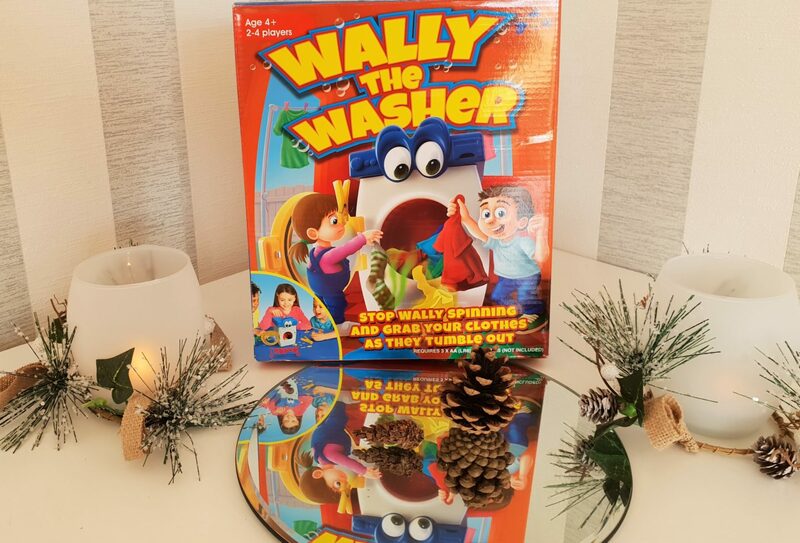 Wally the Washer contains all the clothes and one by one players take it in turns to push on the detergent to open the doors. Be the first to get a complete set of clothes on your washing line to win! Be careful though, get the smelly sock and the washing will need to be washed again! 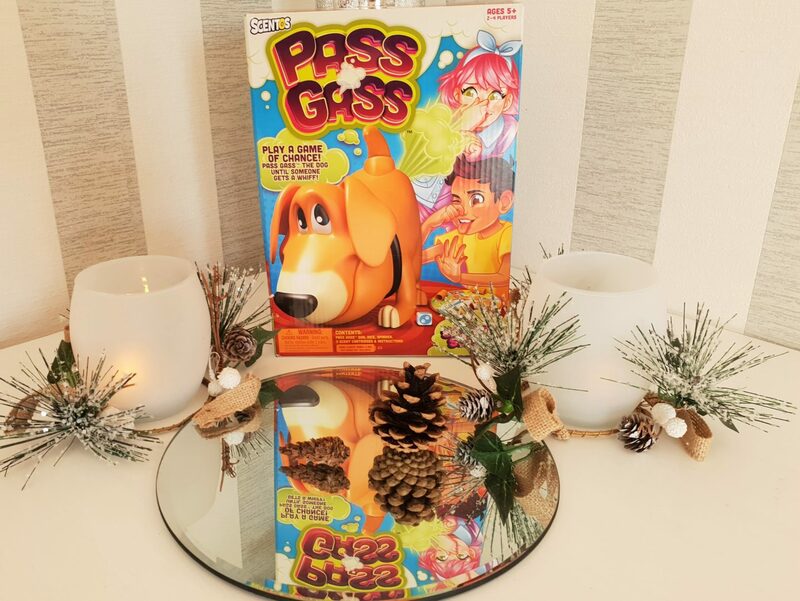 Pass the Gass is another game that the girls and Leo will love to play! Each player takes it in turns to spin the spinner to pump the dog’s tail. After a number of presses (which changes) the dog will fart and release a scent from its bum taking the player out of the game. Included in the game are 3 scent cartridges which range from pleasant to disgusting! Leo has started a collection of Arcade games and I love how enthusiastic he is becoming with them all. 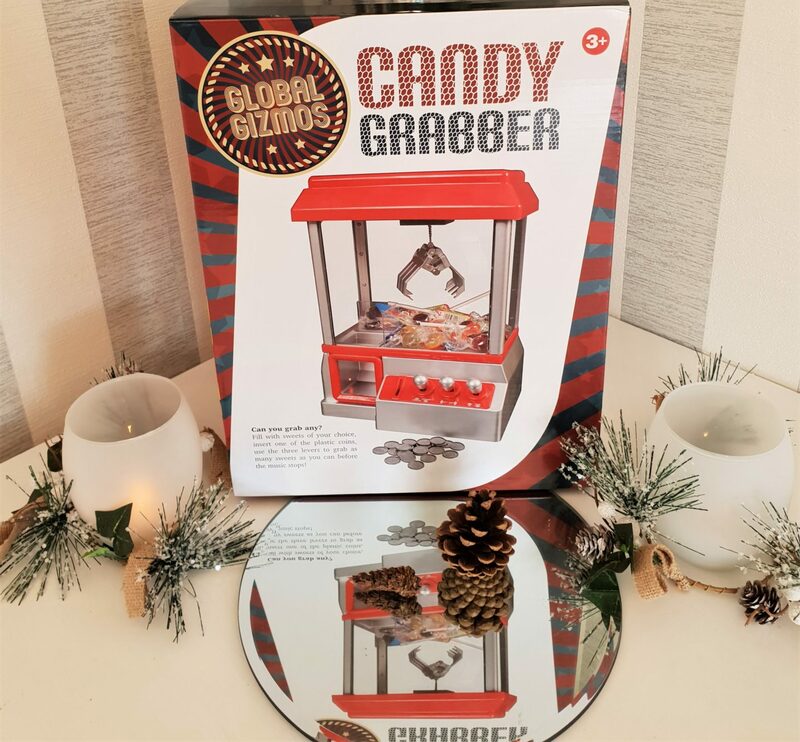 The Candy Grabber is a lovely miniature version of the classic game found in arcades all over the world! I can’t wait to fill this up and see Leo play in the morning! The game comes with lots of playing coins to be able to play. Since starting school Emily has really loved having hair bows in her hair. However we don’t have anywhere to store them and be able to pick the one we want easily. 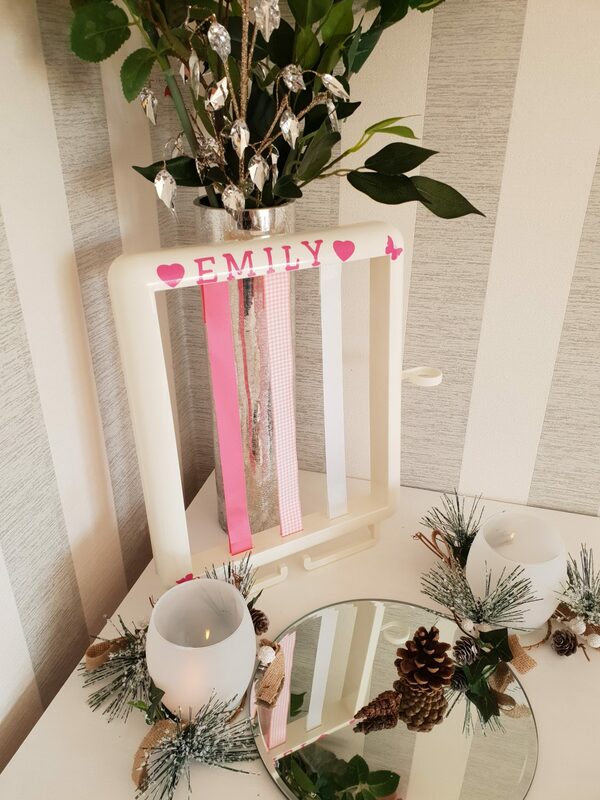 Up until now, this hair helper fits lovely on the wall and once filled with bows and bobbles it looks great, there is even a hair brush holder on the side. When I was a little girl I loved building dens with my brothers and sisters. It was such a lovely calming space that was really fun to be in! 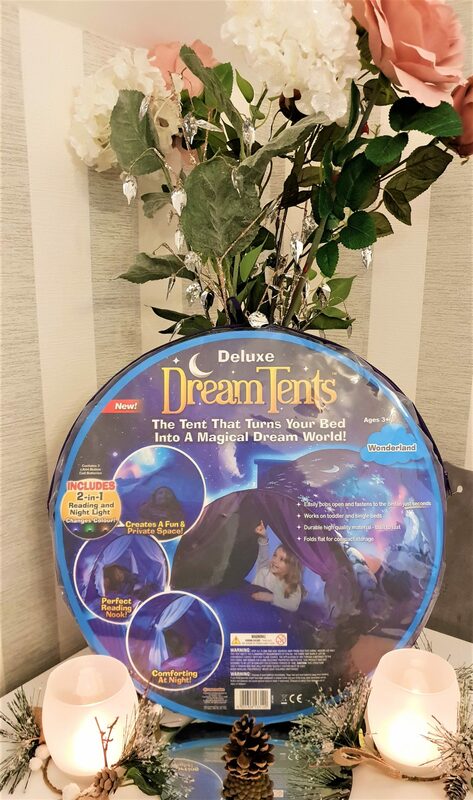 Dream Tents creates an easy pop up tent over the bed. Creating the same calming space I remember when I was little. The girls will more than likely use it for reading their books or when they play with their dolls! No mini arcade space would be complete without Neon signs! I picked these up from B&M to gift to Leo for Christmas. 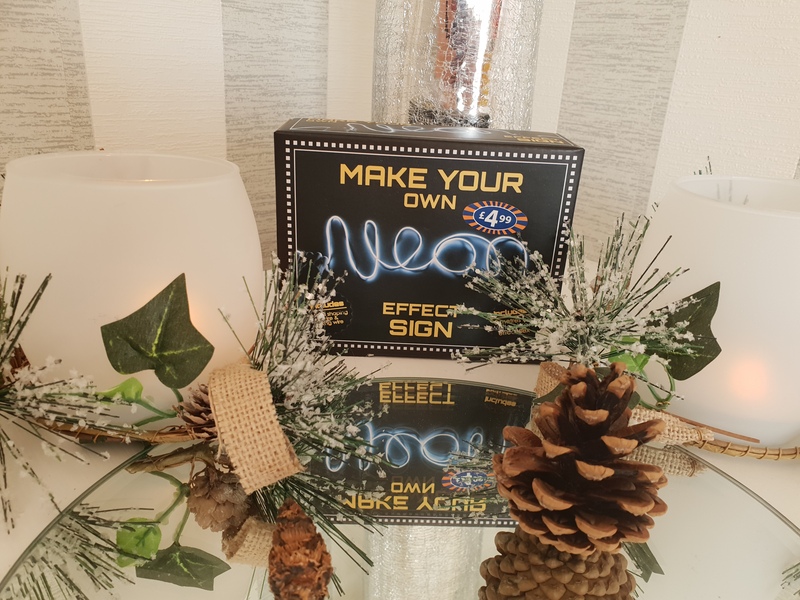 He will be able to create his own signs and have so much fun having a play about with them. 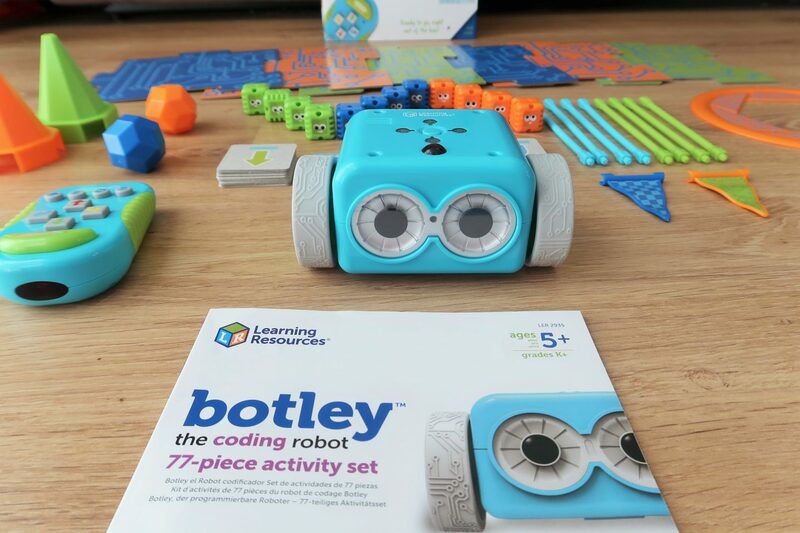 Meet Botley, the new coding robot from Learning resources. 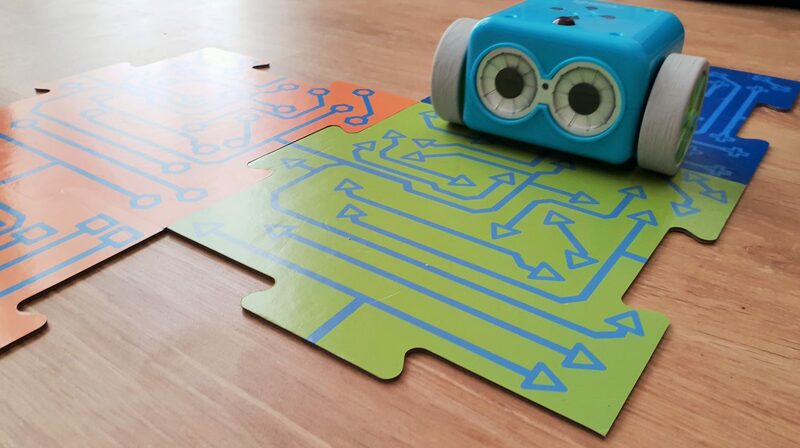 Botley is designed to help children as young as 5 learn the basic skills of coding. It encourages Science, Technology, Engineering and Maths (STEM) by engaging them through play. It also has an advantage of unlocking advanced features as they progress. 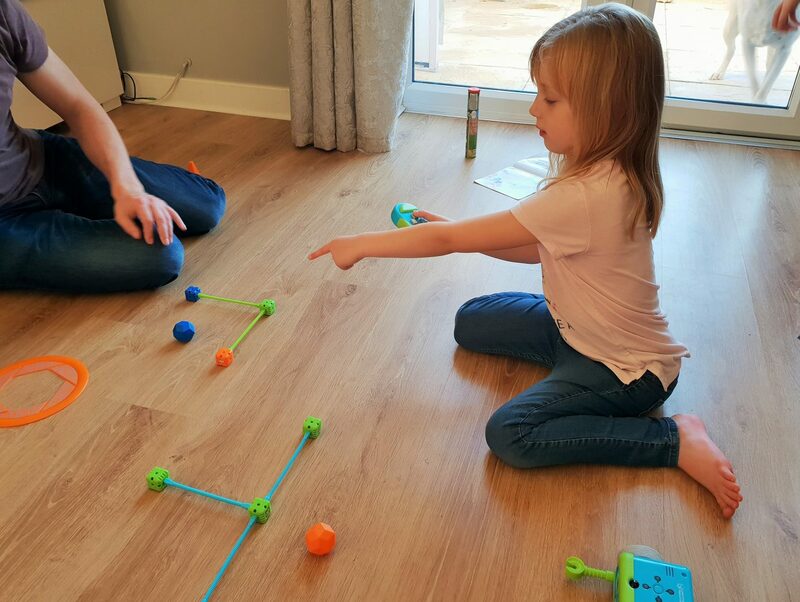 Lydia has never done coding before, so when we received Botley I was looking forward to see how she would get on with it and I was pleasantly surprised. Botley is good to go straight out of the box (after popping in 5 AAA batteries in the remote and Botley). 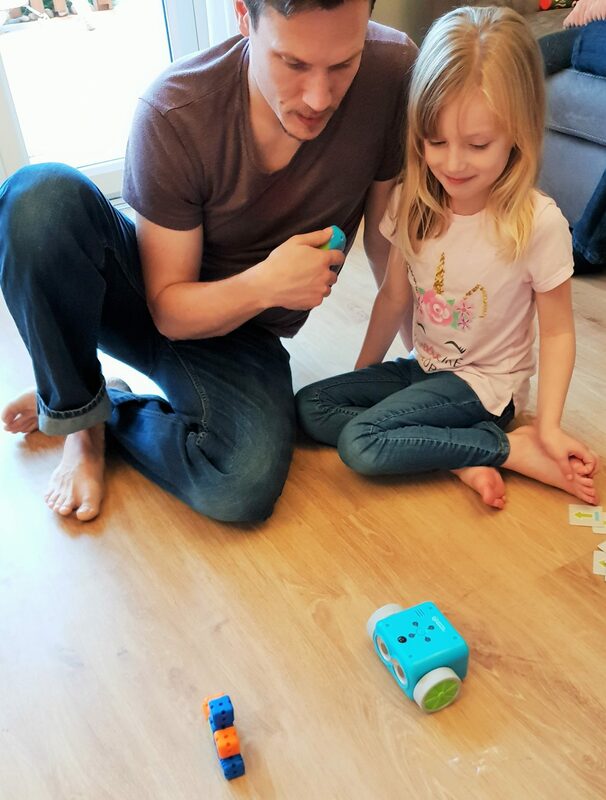 Daddy Knight was also very keen to have a go at coding Botley and had a quick go before he started setting basic challenges for Lydia. He laid 3 tiles in a straight line on the floor and explained to Lydia what the buttonson the remote do and that she had to stop on the orange tile at the end. In no time at all Lydia and her 12 year old brother, Leo, was setting up courses and coding them into the remote for Botley to follow. We also set up a course where Botley had to guide a bolder around, placing it into the circle and then going back for the other bolder to do the same. 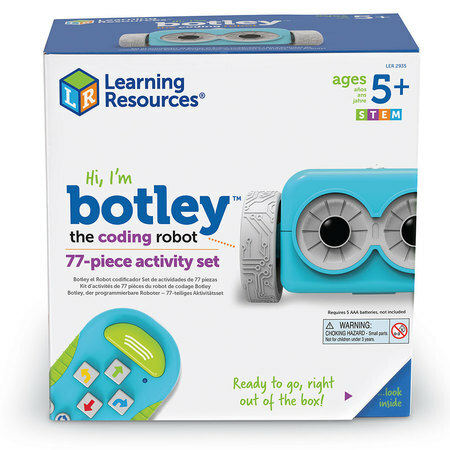 We love the little sounds Botley makes in his fun robotic voices when he’s moving around. If he is stationary, he beeps at you so you still know he is there, which is very cute. 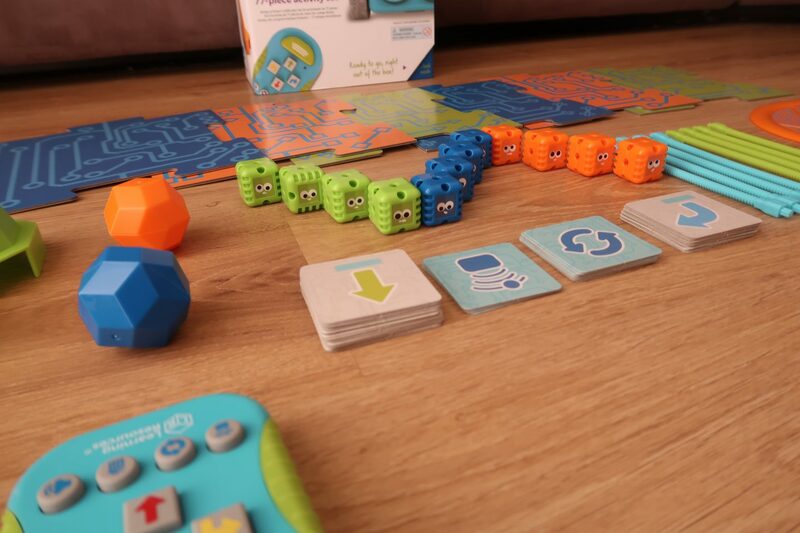 The coding cards are designed for the child to set up their own sequence of where they want Botley to go before programming it into the remote. 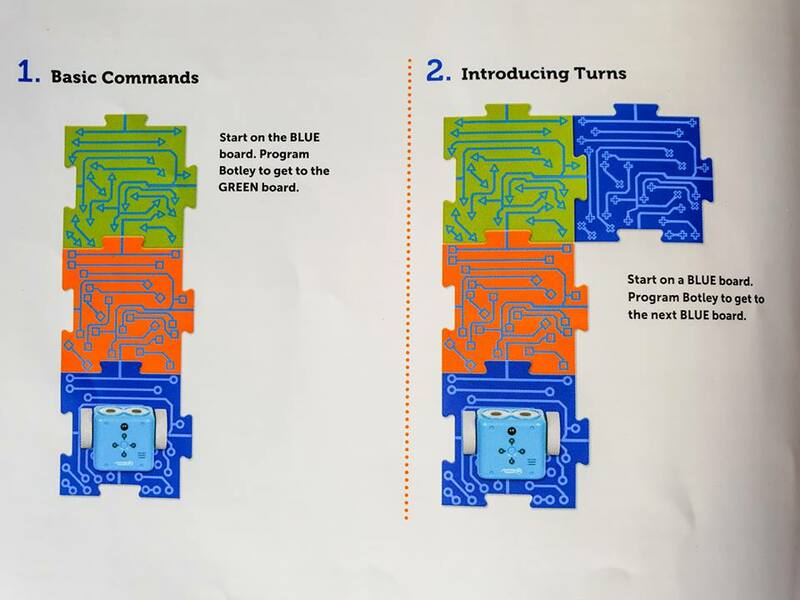 It acts as either a reminder of what they have pressed so they can plan Botley’s activity, or use it with problem solving so they can plan what they need to do before programming the sequence into Botley. I like the idea of these as sometimes its good to actually see what you are doing instead of figuring it out in your head, which can get really frustrating for them. 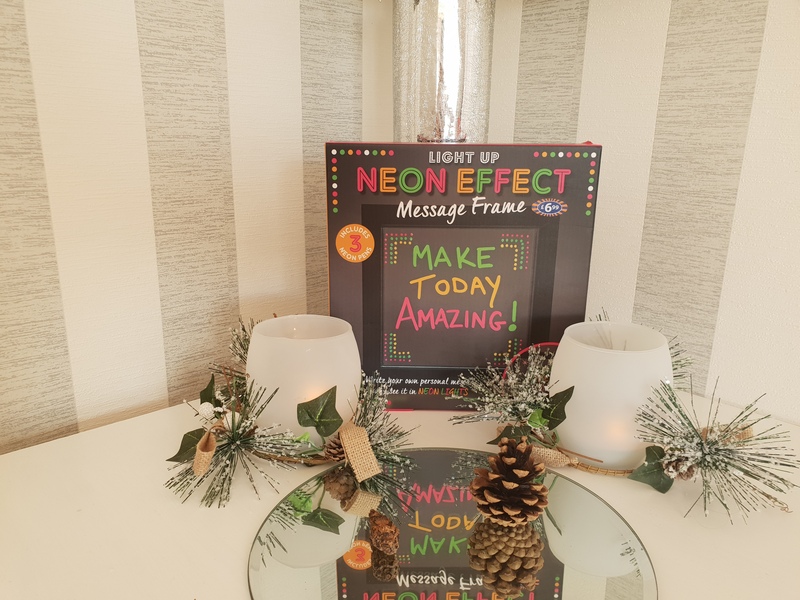 Here is a little snippet from the booklet with some ideas you can do to start off with. There are 10 basic challenges to get your imagination flowing and then you can have lots of fun creating your own obstacle courses. I also like that there is no tablet or screens needed to play with Botley. It’s just you and your brain and being able to actively think about what course you are going to make up and how you are going to code it. Botley works best on hard flooring. Botley retails for £79.99 and can be purchased here. 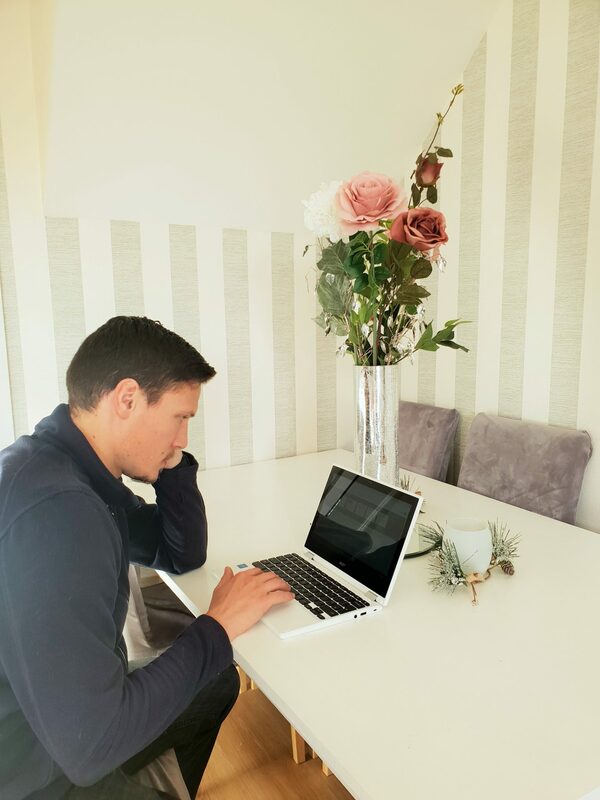 As an auditor, I am often on the road to businesses, carrying out reviews and site tours while taking notes to ensure that all I need for my report is captured. The easiest way for me to do this is through paper, but my quick hand often ends up being cryptic, requiring deciphering that even I am unable to do at times. 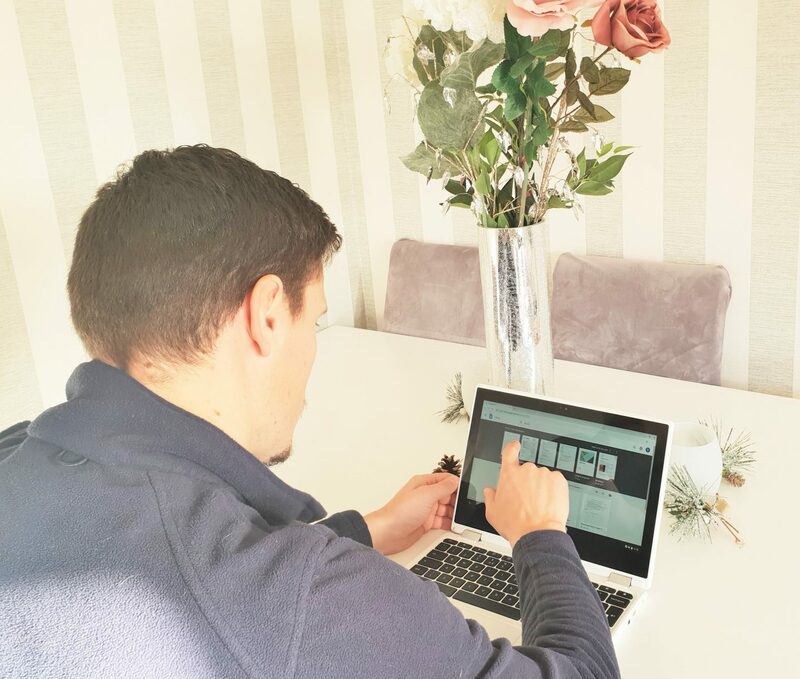 Electronic recording is great, as it removes most of the deciphering, but carrying out site audits with a laptop is somewhat tricky and tablets, while they are easier to carry around, I often find it hard to type on them. I was given the opportunity to use the Chromebook for work and it has made my life that little bit easier. 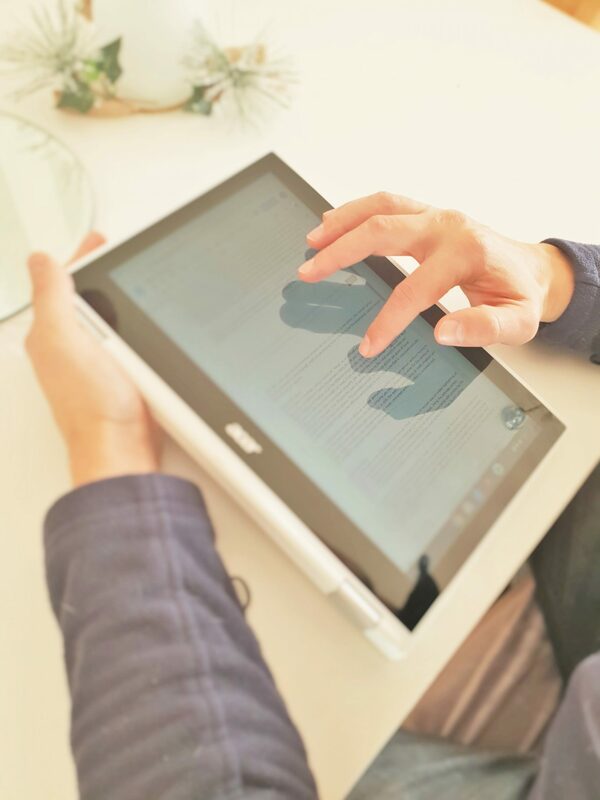 The ability to use the device as both a touch screen and keyboard to write with, makes the use while moving a lot easier. The device is small, lightweight and easy to carry around. In addition, the battery life on the device is really good. I decided to test it to see just how good it is. With a whole days (7.5 hours) use writing a methodology report, the battery had only reduced by around 60%, which when compared to my laptop is seriously good. On my laptop, if I am lucky, I can probably manage about 3 hours off a full battery, which is a good benefit to me during a site review where you are unsure how long you will be on the premises for. Getting used to the device took a day of playing around to learn the functions and quick ways to move around the apps and software, but anyone that uses Google or an android phone shouldn’t find it too difficult to get to grips with. It is very quick to load at start-up, which is fantastic when compared to my laptop, and you can move between the apps and internet easily with the function keys and touch screen. As I already have a Google account, once I logged in the device picked up all of my information, reducing the setup times as the all features I currently use on Google were automatically loaded (bar the games). However, I will say that there are elements I am still getting to grips with. Functions you get used to on a laptop are not there, particularly key functions however, with the use of the touch screen you can easily get around this. As part of my office package I also use Microsoft Office and have often found that the two do not always play well together. Google does try to take over by pushing me towards using Google Docs or Google Sheets. However, again this is a minor issue and something that has occurred during my induction period. The device doesnt have the capability of being able to remove the keyboard, instead the screen folds all the way across so the keyboard site behind the screen. The software then locks out the keyboard so any strokes are not registered and the rubber ends and sunken keyboard mean you can place it flat without any issues. This is fine, but for me I found it difficult to walk around with just the tablet bit as the keyboard on the back just felt odd. As for games, which my kids and I love playing (although mostly me on this device) the Chromebook is great. With the touch screen function all the games I play on my phone I can easily play on this device, just now with a larger screen. My daughter is now jealous because Daddy has a ‘laptop tablet’, so obviously she wants to play with it constantly. All-in-all I have found the device really easy to use, both at home for fun but also at work for my needs. It sits on my desk nicely given its size and allows me additional functions as I work with it and my laptop. 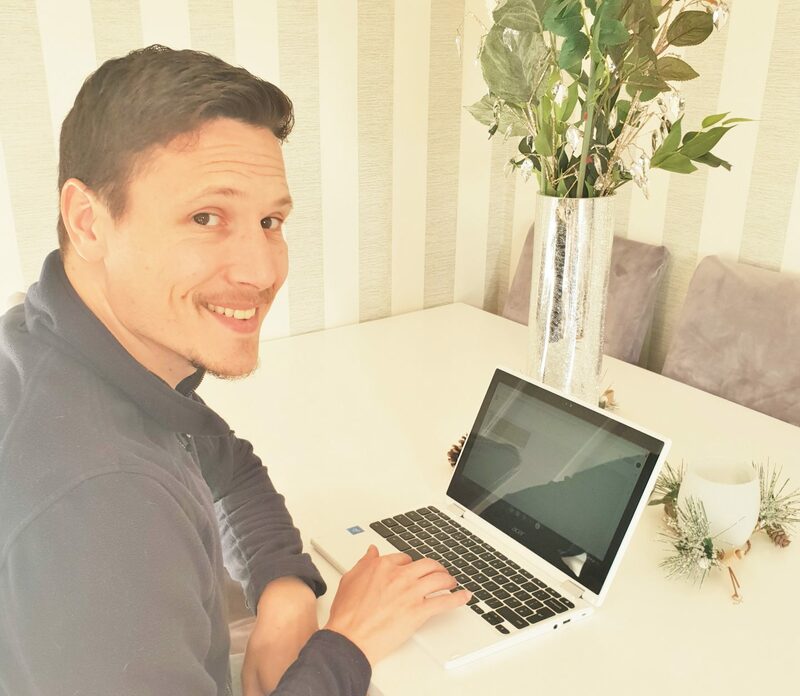 At home it is great to use as a laptop when I am browsing the web (which is great with both touch screen and keyboard) and also when playing games whilst chilling on the sofa. A great kit that I would recommend to anyone, particularly those who already use android. 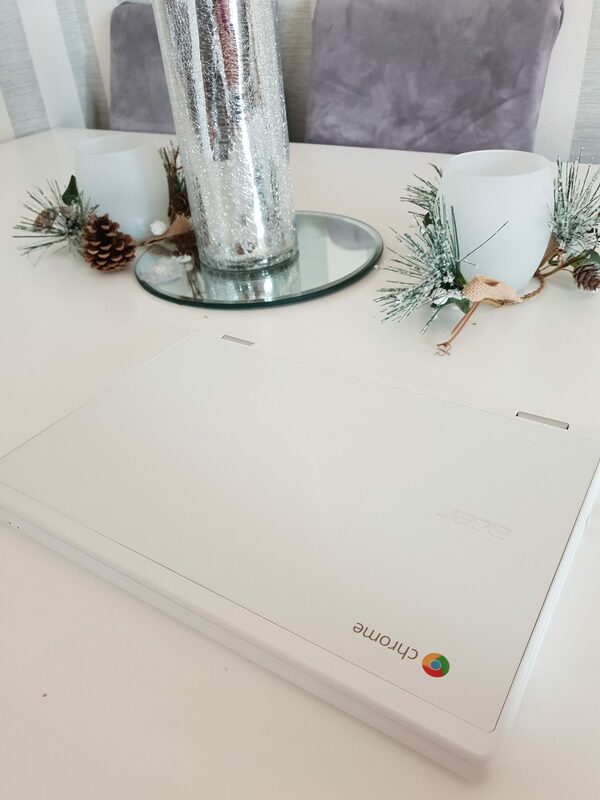 The Chromebook comes with a built in microphone, webcam, 2 speakers, 2 Usb ports, 4GB RAM, LCD screen It does not have a CD/DVD drive or a micro sd memory card slot. To read more on the specifications for this particular model you can visit their website here. I am not going to sugar coat this. The experience of fundraising was tough, its hard to talk about what your child can’t do. Hard asking strangers for help, hard standing outside shops with collection tins but we were really lucky in the number of people that helped us reach the target we needed. Listening to his doctors here advising us not to go ahead, telling us Leo needed his spasticity for the little control he did have of his legs, Hard going against their advise. Hard defending yourself on why you were intent to put your healthy child through such a traumatic operation so far from home when there was no guarantee the operation would even make any difference. However we knew without this chance Leo would definitely be in a wheelchair and dependant on others for the rest of his life. That the spasticity would cause damage to the rest of his body . Cause more pain as its a proven fact spasticity causes premature aging of the muscles throughout his whole body. Even muscles not affected by spasticity age as they compensate for the muscle groups that are affected. 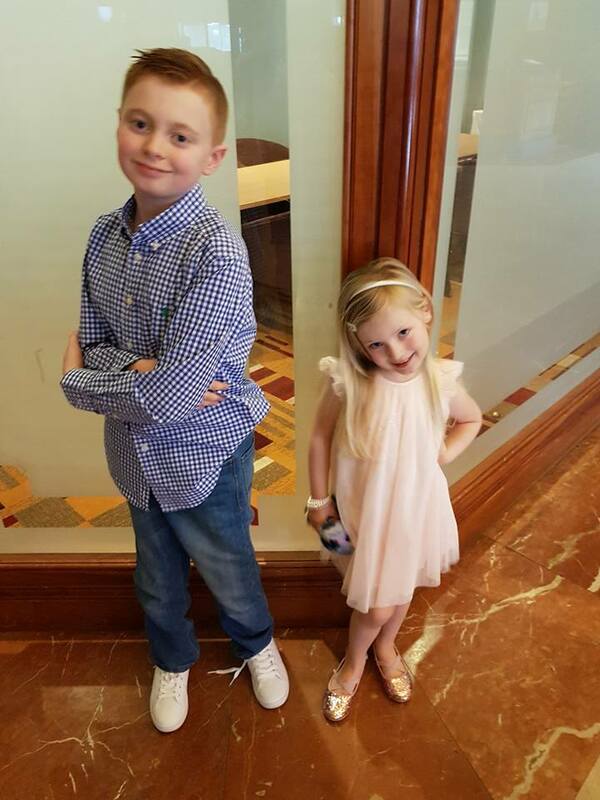 Once we arrived at St Louis Children Hospital and met Dr Park and his team we knew without a shadow of doubt we had made the right decision and no matter what the outcome was we would be able to look Leo in the eye and tell him we gave him every chance we could. For us the outcome was amazing. Three days post op Leo stood clinging to Mike ( the physio) and placed his feet flat on the floor. 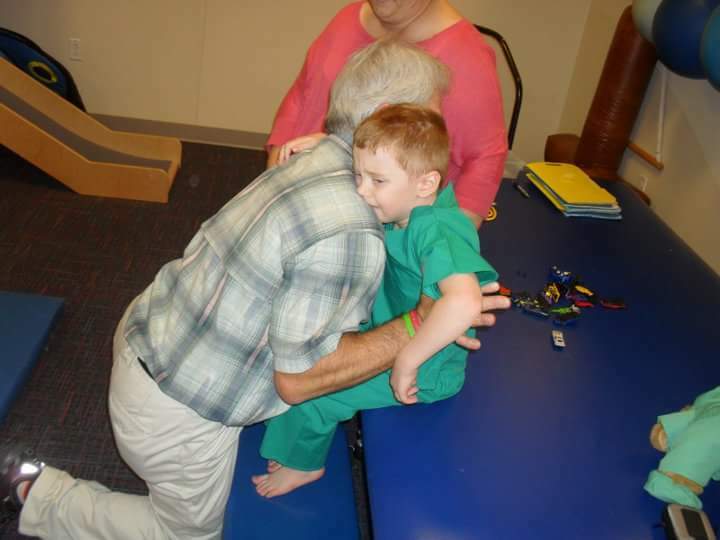 By the following week he was standing with a walking frame days after that he rode a therapy bike and most amazingly of all 6 weeks after the SDR Leo walked for the first time. First of all a few shaky lurching steps very quickly became more confident. He could now go to the toilet without his mum watching, He could also help himself to drinks and food from the fridge. He would often be recognised when he was out and about because he had been featured heavily in our local paper and people would come over to talk to him and say how surprised they were he was so mobile. Leo is now almost 13 and has continued to become more and more independent. 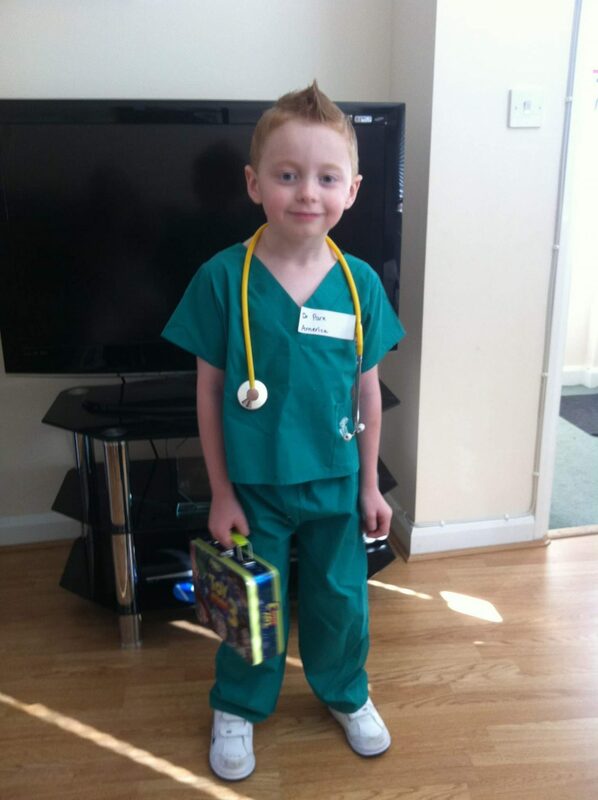 He has completed 5k fun runs, can go up and down stairs on his own, Can look after his own personal hygiene and very recently completed 5 widths of his school swimming pool. 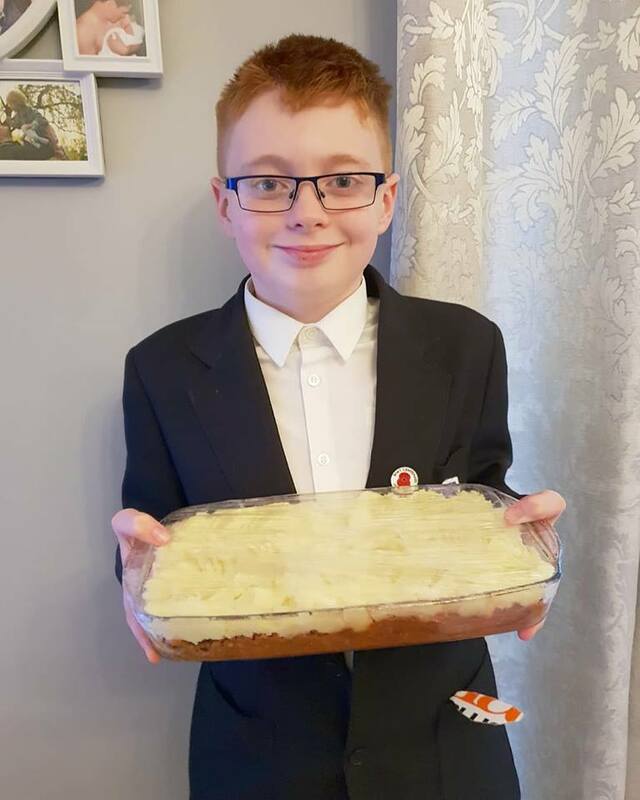 This week he prepared cottage pie for his family not only using a knife but allowing his hands to get dirty. Leo doesn’t like getting his face wet or his hands dirty. To say he is totally independent would not be true. He has to use a K Walker around school ( more to stop people bumping into him as he falls easily). During growth spurts his walking becomes unstable and he falls. The cold weather makes his gait worse and occasionally uses his wheel chair if he is expected to stand for any length of time ( i.e. church parade with his scout troupe). He still gets upset that he cant keep up with his peers and complains that he has to go to bed earlier than his friends. Leo underwent Selective Dorsal Rhizotomy which is a life changing operation for children/adults who have cerebral palsy performed by the legend which is Dr Park and then two weeks later Leo had more surgery performed by Dr Matthew Dobbs to lengthen his hamstrings and heel cords in both legs both of these were carried out in St Louis hospital in Missouri.